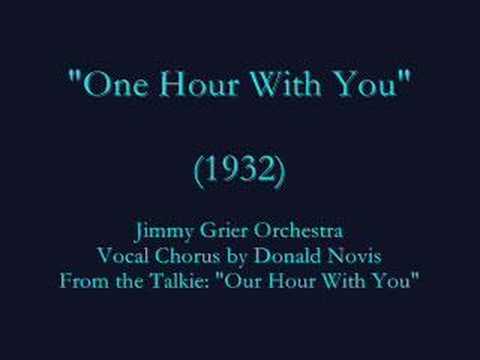 One Hour with You is a 1932 film nominated for the Academy Award for Best Picture. It was written by Samson Raphaelson and his assistant Sam Bellas from the Lothar Schmidt play Only a Dream, and was directed by George Cukor and Ernst Lubitsch. The film is a musical comedy starring Maurice Chevalier, Jeanette MacDonald, Genevieve Tobin and Charles Ruggles. The story concerns a married couple who find themselves attracted to other people. 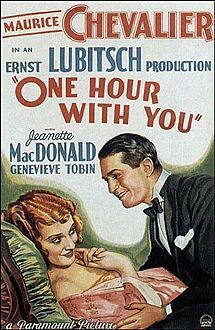 A French-language version of the film, called Une heure près de toi was made simultaneously, with Lili Damita playing Genevieve Tobin's role. In 1932, the film was Oscar nominated for Best Picture.